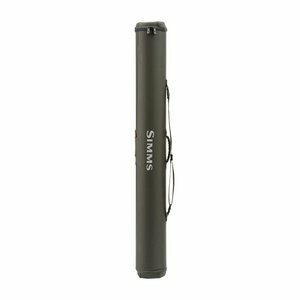 Simms Bounty Hunter Single Rod/Reel 4-Piece Case, Premium single rod/reel case that protects precious cargo. rugged 1680D dobby ballistic fabric and high-density plastic tubing with a DWR finish. 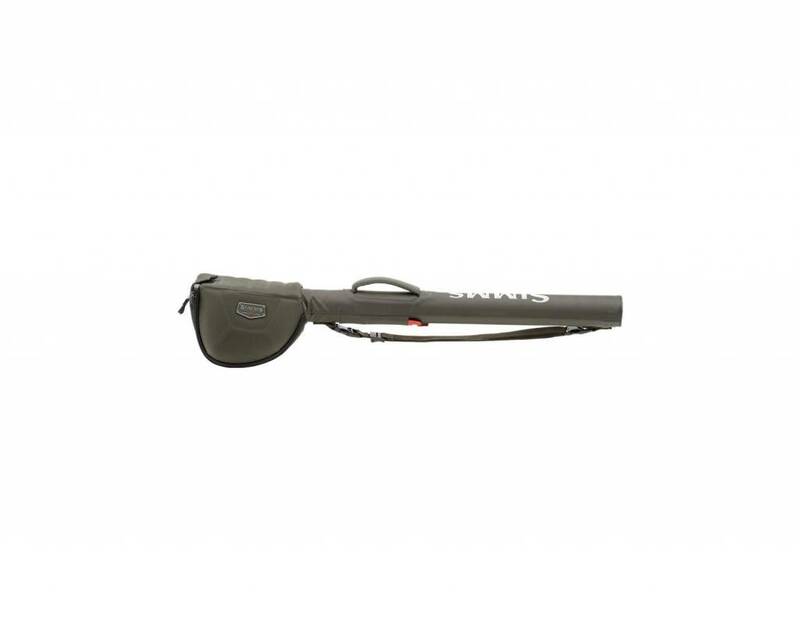 Simms Bounty Hunter Single Rod/Reel 4-Piece Case, Premium single rod/reel case that protects precious cargo! 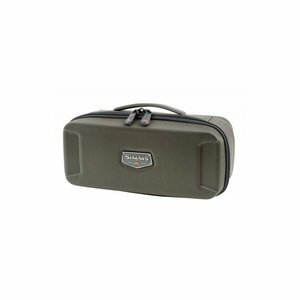 Keep vital fishing gear stowed and secure with the Bounty Hunter Single Rod/Reel Case. 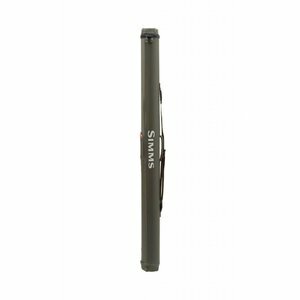 Premium protection stems from rugged 1680D dobby ballistic fabric and high-density plastic tubing with a DWR finish. Inside the case, store up to one 4-piece, 10-foot rod or size-appropriate switch and mini-speys. Highly considered features include an interior loop field for retiring flies at day's end and a convenient reel carriage for carrying up to one large salt reel. In addition, removable Velcro rod-wrap straps cut clutter, and a detachable/adjustable shoulder strap and padded handle deliver grab-and-go convenience. Includes a retractable luggage tag. The best. I purchased this case because I ride my bicycle up to the casting ponds and it has a strap that I can put over my shoulders and neck and ride. Also, I fell over once and I notice my case flexes between the reel section and the rod section making it possible to break the rod in the handle area if bent between those sections. This case is solid all throughout its length.